The analytical writing assessment (AWA) section is arguably the most overlooked section of the Graduate Record Examination (GRE). Though it is scored separately on a scale of 0 to 6, with 0.5 point increments, it is an important component of the test! Almost all universities in the USA have a separate score cutoff for the AWA section, with top-ranked universities and the Ivy Leagues often requiring an AWA score that’s well above 4! The worldwide average AWA score hovers around the 3.5 mark, with that of Indian students being even lower. Now, is this because the AWA is a genuinely tough section of the GRE or because of the fact that students take this section too lightly, often completely ignoring it, to focus on getting a higher score in the verbal or quantitative reasoning sections. We would definitely attribute it to the latter! The AWA component is one of the easiest parts of your GRE, with both its tasks, Analyze an Issue as well as Analyze an Argument only requiring basic logical reasoning and writing skills, that test your ability to take a clear, well-articulated stand on a topic and back it with apt justification. Both essays have to be roughly 500 words long, with test-takers being allowed half an hour to complete each essay. So why is it, that only 8,000 students of the million-plus that take the test each year are able to score a perfect 6? That’s just what we’re about to find out! 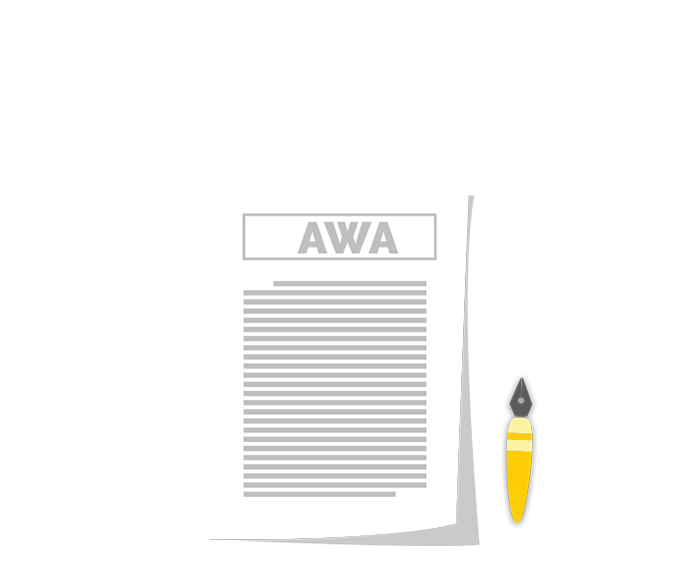 Unlike the Verbal or the Quantitative section, where the questions can come from just about anywhere, the AWA essays are always picked from a list of approximately 200 topics that are listed by the ETS on their official website. Does this mean you have to practice writing as many essays beforehand? Not at all! Looking at the topics will tell you that almost all of the topics/questions can be grouped into 5 major segments - Education & Literature, The Arts, Philosophy, Science & Technology and International Affairs or Politics. Just being aware of the topics will help you know what you’ll be up against on test day, and help you form your opinions on the same. There is generally a positive correlation between the length of your AWA and the marks awarded with it topping out at around 600-650 words. Any longer than that though, and it starts becoming counter-productive. Moreover, you’ve got to remember that you have only got an hour in hand to write both essays! More than the length, though, you’ve got to make sure that what you write on your AWA puts forward a good number of logically valid points, replete with statements that justify the stand you’re taking. Even more importantly, make sure that what you write is indeed pertinent to the given topic throughout, and does not digress from it! Are students expected to write in elaborately styled, Victorian English? Certainly not! However, refraining from making elementary errors in one’s grammar, spelling, and punctuation should definitely be avoided if you’re looking to target a score of 4.0 or above! If writing in English isn’t really your strongest suit, there’s no need to panic just yet. Go through editorial articles, read a few opinionated articles in newspapers such as the Hindu, LA Times, or the San Francisco Chronicle. This will be of immense help to you in ensuring that you structure your sentences better and present your opinions in a logical, well-thought-out manner, writing in correct idiomatic English. Make it a point to use simple sentences and words whose grammar and spelling you are confident of getting right, and read it out in your head soon after. If it sounds ‘wrong’ you might want to change the sentence structure or word-order accordingly. Having a decent idea about the singular and plural forms of words and phrases is important, too! For example, the plural of passer-by is passers-by and not passer-bys and that of aircraft is aircraft and not aircrafts! One of the most common mistakes made by students is to start writing immediately upon seeing the question and not taking out any time to think. Spend some quality time analyzing the points you’d like to include, the order in which you’d want them to come and of course, understand the question in detail. Failing these, your essay is bound to look patchy and as you keep adding points as and when you remember them in no particular order, it’ll be evident that they were added as somewhat of an afterthought and not get well with the overall flow of the article. Words like ‘a’ and ‘the’ are important parts of a sentence that many Indian students either drop or use where not needed. Sentences like “William went to see doctor” or “Flight took off at 8:30 PM” are typical examples of sentences in which articles have not been used. The correct form of these sentences would be, “William went to see a doctor” and “The flight took off at 8:30 PM”. Moreover, teh correct usage of tense plays an important role in making sure that what you’re writing is grammatically correct. Past participle and future participle tenses normally tend to pose the biggest challenge to most students as well as mixing up the usage of words like will and would, can and could, and so on. Punctuation too is an important part of the English language that denotes where and how long we pause in between two sentences or phrases, determining our tone of voice and in expressing ourselves better. Don’t forget to put your commas and full-stops at the right places, to denote pauses and separate sentences. Yes, written English can be a great way to demonstrate your mastery over the language. However, be sure not to go overboard in your attempt to use complicated synonyms of everyday words (whose exact meaning you might not be sure of). In an attempt to make your writing look elaborate, you might end up including words that are out of context, or have meanings completely different from what you intended. If you’re including examples of people or situations that are well known where you come from, think whether they would be instantly recognizable or relevant to an American audience. If not, it would be a good idea to provide a brief background of the circumstances or achievements of the example you’re using or stick to using internationally recognized personalities or events. For instance, using the example of a regional political leader or entrepreneur you admire to drive home a point, might not make sense to an American reader in the absence of the context in which you’ve used them as examples. There you have it! A list of 7 things to steer clear of, for a high AWA score of 4.0 and above! While some students do in fact get away with not devoting much effort to preparing for their AWA, the consequences, though, are sometimes enough to derail your chances of getting a top admit! Though it is true that your AWA score is not as big a requirement to the admissions committee as your quant or verbal score, a very low score might even cause them to dig up your SOP to scrutinize it for plagiarism or raise suspicions that you had it written by someone else! Now if you’re thinking, how exactly to prepare for a 4.0 and above on your AWA in the most efficient manner possible, we have something for you that you’ll not find anywhere else on the internet! Get your free guide to strong essay writing for the GRE analytical writing section along with samples of essays that are worthy of a perfect 6 grade, so you know just how to go about it! Download your free eBook today and get started!